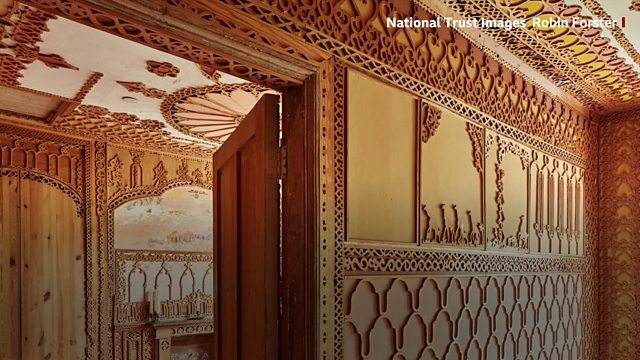 One of London's newest, smallest, and certainly quirkiest museums is a beautiful fretwork (ornate woodwork) decorated house which came about, by chance, because a man wanted to cover up a damp patch. He was the Kenyan poet Khadambi Asalache - the son of an African chief working in London as a civil servant - and over twenty years he turned his nondescript terraced house into a work of art. On his death he left the house to the National Trust - more usually associated with stately homes. We had a look around the house.